In north-west India, Kalka Simla railway is a very popular railway route in India. Though a lot of haunted story around there but the main thing is a natural beauty, the awesome landscape, hills, beautiful environment made Kalka Simla rail route a charming tourist spot. But I am going to tell you a known story in an unknown way. Keep reading. Disclaimer: we are not talking about something haunting. Why such a funny disclaimer? The haunting story reached in such a funny level that when someone starts to talk about Kalka Simla railway then everyone thought that we are going to tell something haunting but it is something about the Engineer of Kalka Shimla construction in charge. 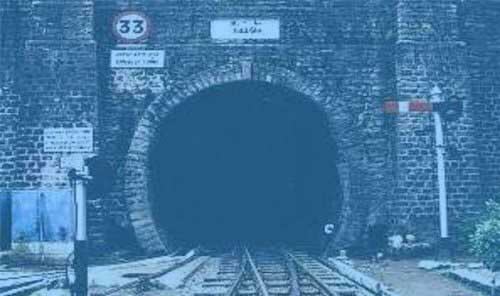 Yes, we are talking about Tunnel 33, Barog. Simla-Kalka Railway. This toy-train tour of Narrow gauge, one of the attractions of travel and tourism to the tourists. The reason is that Simla Kalka railway route has 107 railway tunnels among them 102 have been used now and was built under British railway system. This 96km railway route ride is a delightful ride to enjoy the beauty of the Himalayas. You know it took place to the in UNESCO's World Heritage List which is really awesome. However we are not going to discuss the beauty of this railway routes and interesting tunnels but we are talking about Tunnel 33, Barog. As the beauty of nature is engulfed with the Simla-Kalka railways but it is a little bit historical too. Shimla got dignity as the capital of summer in 1864, this place is really the capital of summer. However, Shimla-Delhi railway was built in 1891 and in 1903 the Shimla-Kalka railway was built and it was inaugurated by lord Karjon the then British lord to the British ruled Indian subcontinent. We told earlier in this railway there are 107 tunnels, this is such a straight tunnel that it is quite straightforward and clearly visible from one side to the other side. We can know from history that Colonel Barroge was in charge of building this tunnel. He started to build it from both sides of the mountain and thought it that it will meet according to his design and plan. But he failed to do this job, maybe somehow he did some designing and drawing error or construction error. For such fault of Colonel Barroge the British govt. snubbed him and make a fine one taka and most hardly he was replaced by another engineer. This replacement was not an as easy as we have talked here in the life of Colonel Barroge. He felt ashamed and severe intense in his mind and degraded that finally, he committed suicide. In one afternoon, on the outskirts of the mountain, on the semi-finished tunnel, he committed suicide, shot himself from his own gun. The villagers, his staff, rescued his bloody body and he was buried near the tunnel. 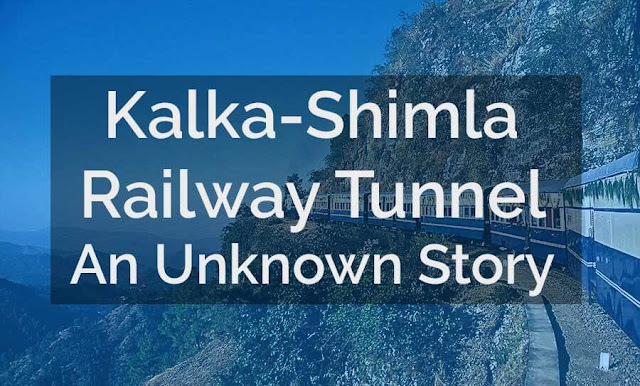 This was the unknown pathetic story of Kalka Shimla tunnel India. RIP Colonel Barroge.